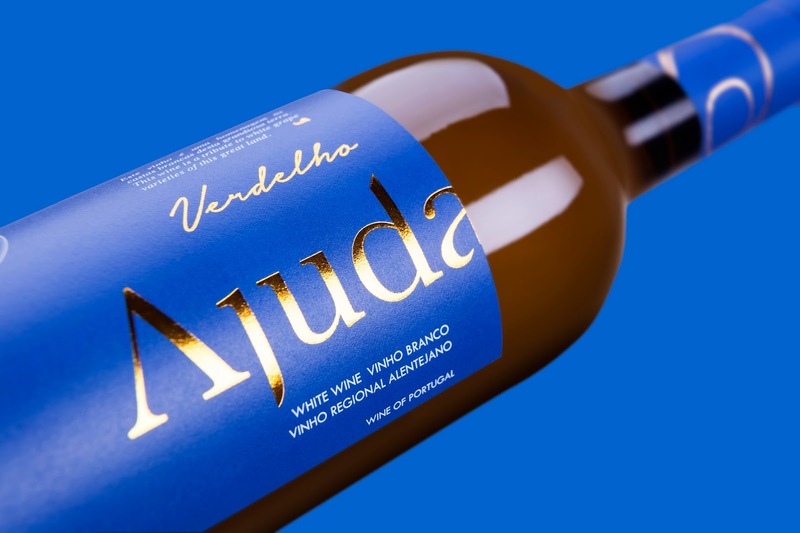 Ajuda Verdelho, a packaging for this single grape variety of the Ajuda’s family. A summer bluish that contrasts with the stamped foil gold. Option of a segmented design for this single grape variety. The blue area, with the foil stamping. Details to closer look like text and graphic detail.